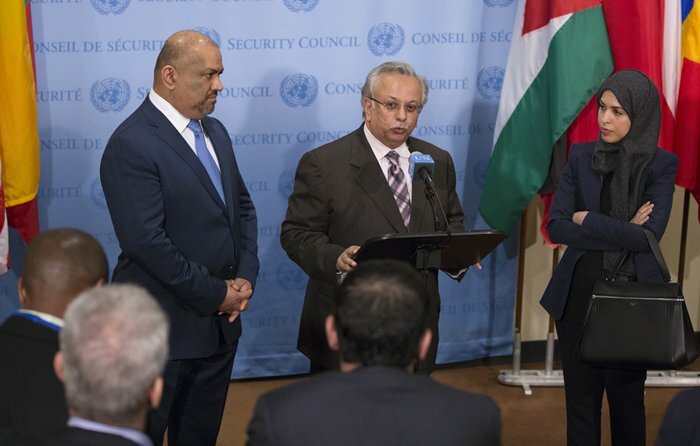 United Nations, New York, USA, May 20 2015 – Abdallah Yahya A. Al-Mouallimi (centre), Permanent Representative of Saudi Arabia to the UN, speaks to journalists, following a closed-door Security Council meeting on the situation in Yemen. On the Photo: Also addressing reporters with him were Khaled Hussein Mohamed Alyemany (left), Permanent Representative of the Republic of Yemen; and Alya Ahmed Saif Al-Thani, Permanent Representative of the State of Qatar. 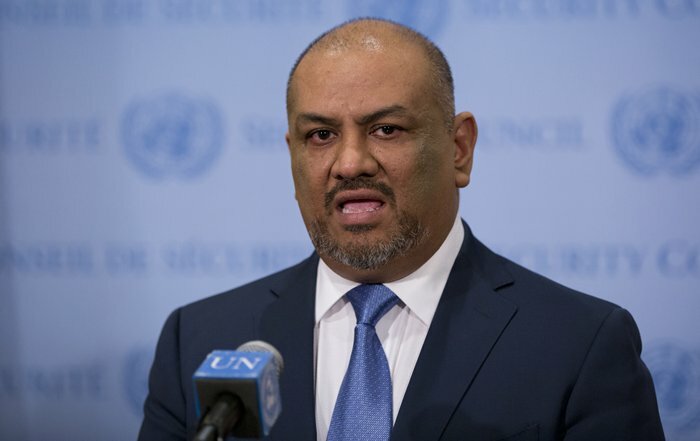 United Nations, New York, USA, May 23 2015 – Khaled Hussein Mohamed Alyemany, Permanent Representative of the Republic of Yemen to the UN, speaks to journalists, following a closed-door Security Council meeting on the situation in his country. 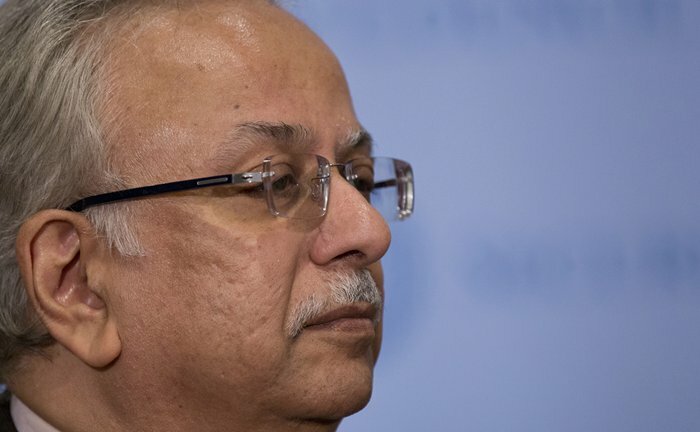 United Nations, New York, USA, May 23 2015 – Abdallah Yahya A. Al-Mouallimi, Permanent Representative of Saudi Arabia to the UN, speaks to journalists, following a closed-door Security Council meeting on the situation in Yemen.